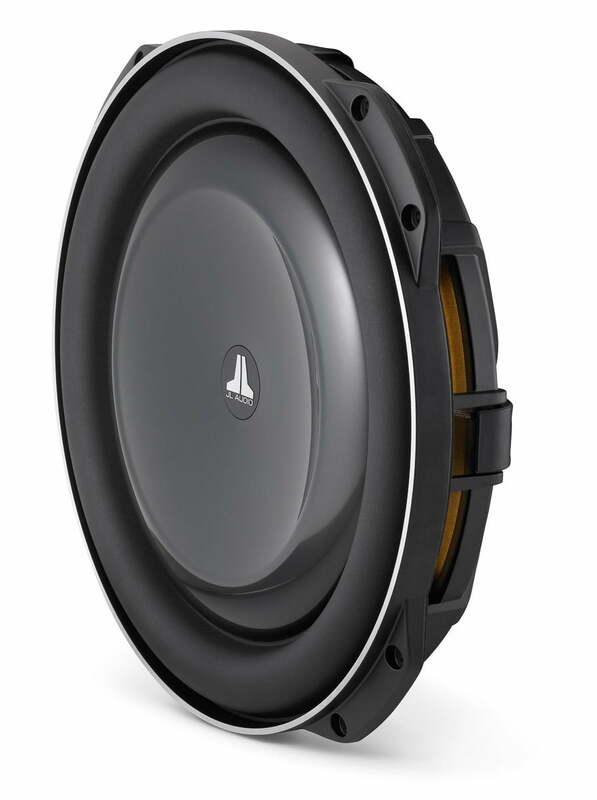 The JL Audio 13TW5v2-4 has patented thin-line woofer technology that compresses the architecture of the 13TW5v2 using a “concentric tube” structure that supports the 7-inch diameter voice coil and the suspension attachments. This permits placement of the large motor structure much further forward in the speaker than with conventional designs, while allowing excellent linear excursion capability and mechanical stability. The 13TW5v2 is best used with amplifier power in the 250W – 600W range and is optimized to operate in a 0.80 cu. ft. (22.7 l) sealed enclosure. Detailed enclosure recommendations can be found in the “Specifications” tab.